Discover some funny videos on YouTube, and want to save these clips to watch later on your PC, smartphone, tablet, or game console? What you need is a free YouTube video converter. How to find the best one with so many choice on the internet? Don’t worry. Here we’ve tested and sorted out the top 5 best Free YouTube Converters for you to download and convert YouTube videos to MP3/MP4 easier and faster. Gihosoft Free Video Converter is a handy Windows YouTube to MP4 converter that has powerful and advanced functions. You can fast download video clips from YouTube, Facebook, Twitter, Instagram, Vimeo, Dailymotion in batch and convert them to MP4, AVI, MKV, MOV, etc. format. Besides, you can use the built-in editor to easily trim, crop, rotate, add watermark and subtitles, apply special effects before converting your favorite YouTube videos. Intuitive and straightforward user interface. No limit to the number of YouTube video files you can convert. It is free to use but has brand watermark on the output video file. 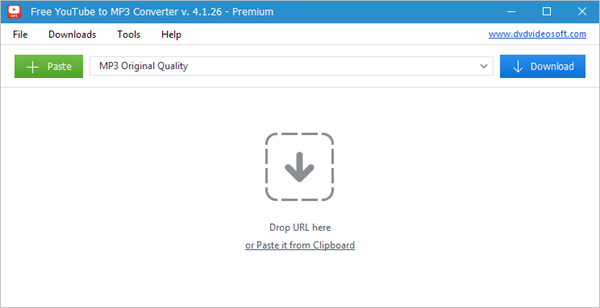 Free YouTube to MP3 Converter from DVDVideoSoft is a simple yet powerful tool designed to convert audio from videos and save it in the format of your choice. With support for encoding audio as MP3, AAC, OGG, M4A, FLAC and WAV, it can convert YouTube videos to audio files suitable for any device. The program is very simple to use, just copy and paste YouTube video or playlist URL, choose the output format and quality, then click the “Download” button and wait a bit. Well designed and clean interface, very easy to use. Convert YouTube playlist to iTunes automatically. Provide option to have computer shut down once a download is completed. Contains ads to encourage users to upgrade to the paid version. Freemake Free YouTube Converter is an all-in-one YouTube music software that lets you search, preview, convert YouTube to MP3 and listen to all your music in one place. 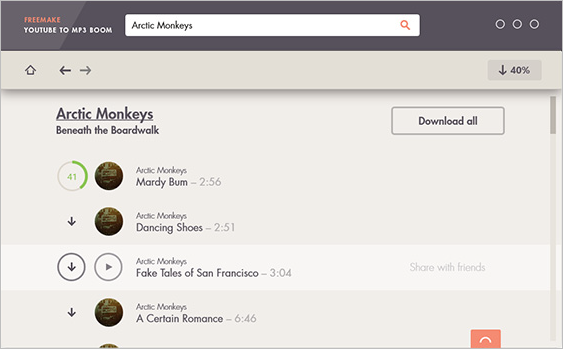 You can search for tracks, albums and artists on YouTube and preview songs before downloading them as MP3s. This software lets you convert multiple YouTube URLs to audio at one time. 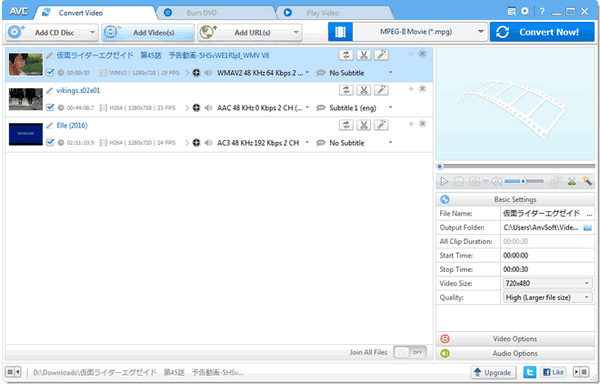 And you can upload the MP3 tracks to iPhone, iPad, Zune, Samsung, PSP, PS3, Walkman, etc. Absolutely free, no signup or limitations. YouTube music finder, player, saver and converter to MP3. Lack of options for file type, size, quality and so on. 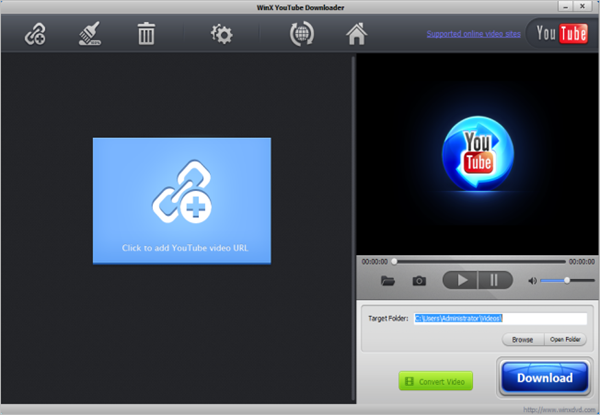 Any Video Converter Free is one of the best free YouTube downloader and converter. With it, you can easily download videos and music from YouTube, Facebook, VEVO, Vimeo, Dailymotion, Metacafe and other 100+ sites, and convert them to any format you’d like. A wide array of output formats and devices are supported, including MP4, AVI, WMV, MPG, MKV, MP3, AC3, OGG, AAC, WMA, M4A, WAV, iPhone, iPad, Apple TV, Android, and more. Plus, videos can be downloaded and converted in batches, and simple conversion can be completed with only a couple of clicks. Convert videos from YouTube or any other source in seconds. Great choice of output video and audio formats. Prompted to install ByteFence and a Yahoo browser extension while installing. WinX YouTube Downloader is a 100% free YouTube to MP4 converter program, which lets you fast download convert from YouTube and save videos in HD/4K MP4. It is compatible with over 300 video hosting site including YouTube, Facebook, Vimeo, Dailymotion, and offers a selection of resolutions, file sizes, and formats for you to choose from. With multi-thread and multicast tech, WinX makes bulk download and covnersion fast and stable. Complete free, no bundles, adverts, or hidden fees. After going through the list of free YouTube converters in this article, we hope you’ve found the best one for all your YouTube video download and conversion needs. If you don’t want to install any software on your computer, then you can refer to 5 Best Free Online Video Converters to find a online tool to help you convert your favorite YouTube videos to MP4/MP3 or other formats you’d like.